Prime at Saratoga National is a rustic, yet elegant steakhouse concept in Saratoga Springs, where you can expect an unforgettable New York steakhouse experience through our chef-driven cuisine, world-class wine program and unparalleled hospitality. Our culinary team is led by Executive Chef Jason Saunders. Iowa Premium, USDA PRIME steaks anchor the menu, innovative seafood creations, as well as non-steak options. Modern takes on traditional steakhouse classics are complimented delicious made by scratch desserts. 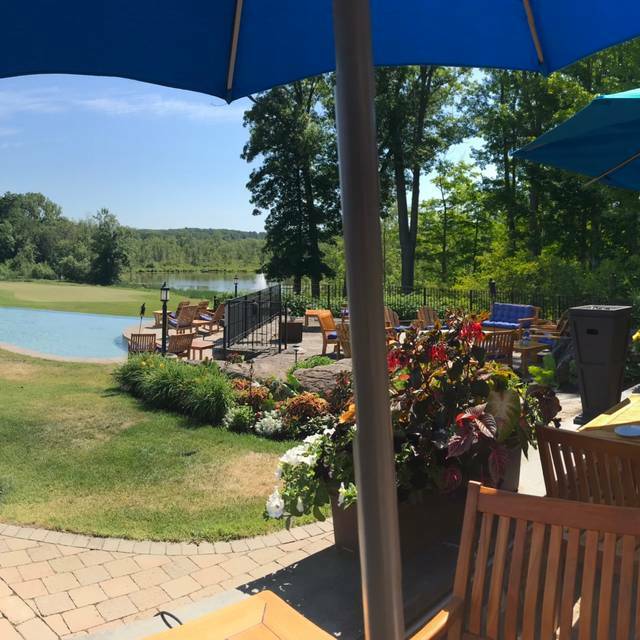 Choose to dine in our warmly appointed elegant Main Dining Room or outside on our lower patio over-looking the 18th hole. The patio features; teak-wood furniture, fire-pits, and soothing infinity pool. Offering a more casual atmosphere to relax and take in the breath-taking views of our championship golf course. Closer to 3.5. We come here a couple times a year. We find it hit or miss. Service was great as always. The appetizer, sides,bread and dessert were great. My wifes fish was well prepared. My steak was well cooked but woefully under seasoned. Me adding salt after its cooked just isn't the same. When I spend$56 on a steak l expect lots of flavor. In all, very good not great, $190 should be great. Especially the steak. Prime at Saratoga National is always a great time ! The food, service and atmosphere are top end. 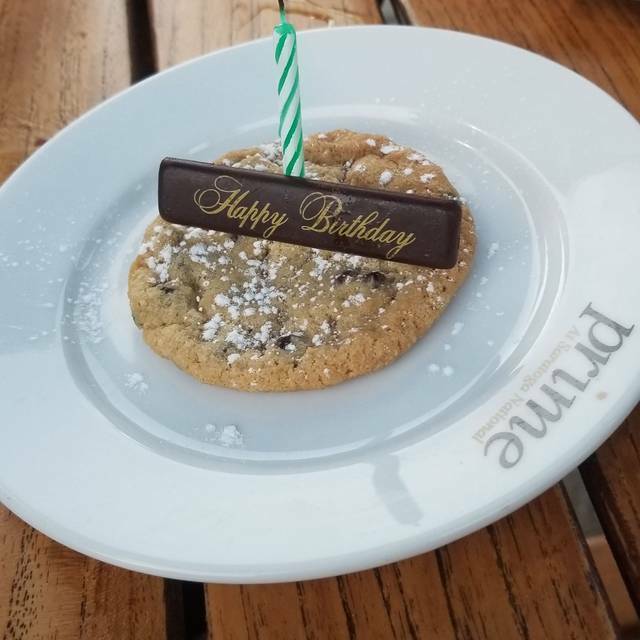 We went for my birthday and it was wonderful! Our servers were great and the food was outstanding! We also enjoyed a lovely bottle of wine from their extensive list! We will definitely be back! The food was great and the atmosphere was pleasant. Went with another couple. His steak was over cooked. He ordered medium and it was well done. She ordered sea bass. It certainly wasn’t fresh. It had a fishy smell and was over cooked. My wife and I both had filet mignon which was properly cooked. Service was excellent. The food and service were wonderful. I would definitely dine there again! My husband and three others ordered the salmon they thought it was dry . I had the short beef rib and it was excellent. This was the Saratoga dining out menu. How much my friend and I enjoyed brunch! Everything was spectacular! We could not have asked for a better experience! So many thanks! Prime never disappoints, the food and service is always terrific. Great experience from the staff and kitchen, we will definitely be coming back! We were there for Saratoga Restaurant Week and were very impressed with the food that was offered. Typically restaurant week is where local restaurants will have 3-course meals at a significantly reduced "Restaurant Week" rate that is also used by the other participating restaurants. Overall I would say that this was the best Restaurant Week dinner that I ever had in Saratoga (Prime salad + short rib with mashed potatoes + caramel cream dessert). 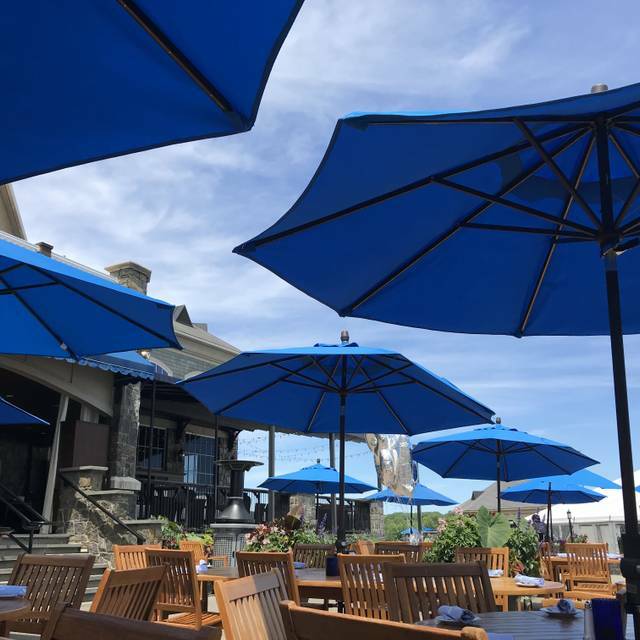 The best part of Prime is dinning on the outdoor patio overlooking the Saratoga National Golf Course. Being "Spring" in upstate NY it was still too cold for the porch area to be opened but in the Summer it is definitely the best ambience for lunch or dinner in all of Saratoga. 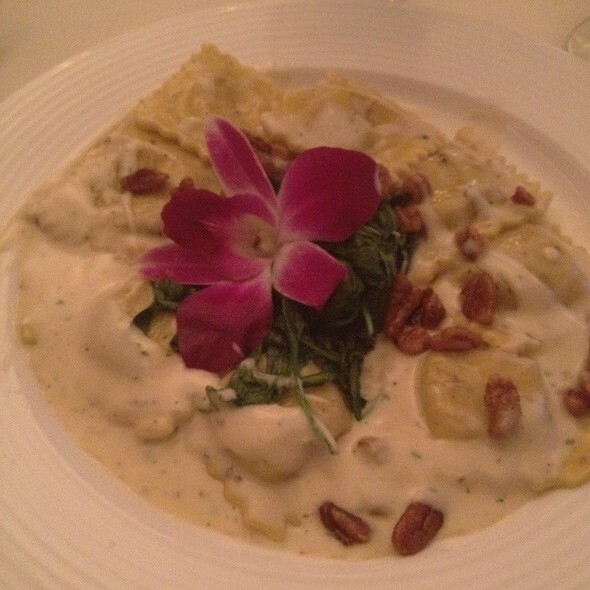 We are never disappointed when we dine at Prime! We celebrated our anniversary and it was lovely! Food was amazing. Service was great. Buffet had a very good price. Prime Rib was extremely rare. Several hot items had been sitting and chicken and fish were dry. Waitress very attentive. Dining Room very dark. Would definitely do the Italian buffet, if they offer it again! Our family of 4 (2 adults, 2 children) attended the Sunday brunch and it was a great first experience. The brunch area was well maintained, clean and offered a great variety. The staff was very attentive and friendly. We'll definitely go again. Service was outstanding. Waitress was very knowledgeable of the menu. Food was well portioned and prepared exactly how requested. When booking the Prime at Saratoga, my intention was to have a nice dinner to celebrate our 5th wedding anniversary. I even included a note when securing my reservation on Opentable. My wife and I have had excellent experiences when celebrating anniversaries in the past and truly looked forward to it. Upon arrival, we were shocked to find the parking lot so congested that we couldn’t even drive to the Valet. We ended up parking nearly a 1/2 mile away along their drive. I truly wish I was exaggerating. Once inside, I mentioned the parking situation which was poorly received by the staff and simply shrugged off. We were informed that there was a special event being hosted at the country club. There was no mention of my notes within the reservation or even an interest in if we were there for a special occasion. We were seated in a very quiet dining area. There were maybe 5 other parties in the large room. I simply can not knock service as our waiter was attentive and professional. 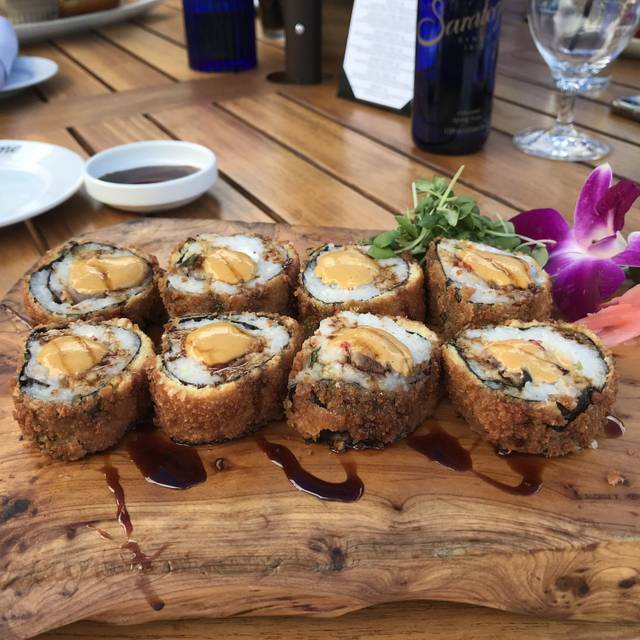 We stared with the surf and turf sushi roll which was the highlight of the dinner. The Cocktails were also very good. The main course was the recommended Cowboy steak which was not cooked to medium as it was still raw and needed to be sent back. Finally, we ordered the Creme Brûlée which was burnt but covered with whipped cream. My wife and I do not patronize such restaurants unless it is a truly special occasion. I feel that the meal and experience didn’t come close to the cost. I will not be returning to the Prime at Saratoga, and I simply can not recommend it to anyone else. This was the low point in our otherwise enjoyable trip to Saratoga Springs. The brunch options were extensive and there was something for everyone. However, the hot food on the buffet was not particularly hot. In fact, the pasta was cold by the time I got back to the table. Salads, on the other hand, were EXCELLENT! Outstanding food and service, but it is pricey. Service was phenomenal! They were super friendly upon arrival, offered to take my coat and gave me a stool for my purse. The waitress was so accommodating and professional. The ambiance was romantic and classy. We went for their Italian buffet - it was great and especially for the price! Everything was very good to excellent as for the food both flavor -( But seriously, the experience was very good and we will be back. Thank you, Gary W.
Enjoyed the Sunday jazz brunch. Food was well seasoned and taste was great. Omelette station was great. Mojito was perfectly made. Only a couple minor, minor issues: 1. The BBQ salmon was a bit on the dry side. 2. The pancakes would be better if fluffier. 3. It would be great to have chicken or turkey sausage. Would definitely go again. Waitress was very professional, but service seemed very slow considering restaurant was nit full. My party and I especially appreciated the lower level of noise. The dining room was full, but we had no problem carrying on our conversation. Too many restaurants these days are acoustically designed to appear crowded based on the noise level. Not pleasant. This venue was just right. We could hear the music and each other, without shouting. For the cost of the meal, I was very disappointed. We were seated right next to the kitchen even though the hostess knew that it was a special occasion. It took a total of 3 hours for us to have our meal. The seafood tower was quite pricy even though the items were for the most part pre-frozen and certainly tasted like it. Major dissapointment. Everything was fantastic. Staff were very accommodating and asked if everything was to our liking. Perfect. The ambiance is the best and the food and service were wonderful. Arrived early and they were ready for us and seated us right away. Everything was top-notch, from greeting thru leaving. A perfect night to celebrate my wife’s birthday. Brunch with kids and Grandkids. Buffet has something for everyone. Beautiful setting yet casual enough for extended family. Carving stations, interesting breakfast and lunch items. I and my party throughly enjoyed ourselves. But I was overcharged for my daughters meal. She's 11 and they charged me the adult price which isn't applicable until age 13. Which made her meal almost triple the price. Unfortunately I didn't notice until I arrived home and I live an hour from the restaurant. Most of the food (pasta, meats) was cold!